Allow us the opportunity to plan your child's special celebration full of fun activities while you sit back, relax and enjoy the day. Our party coordinator will plan all of the details of the party which will include one hour of gymnastics activities and games and allow 1/2 an hour for cake and/or opening presents. This open gym event allows the children to choose which event they would like to work on while being supervised by our staff. This is a perfect time to perfect some skills that you have been working on. Bring a friend to enjoy the experience with you. No date is scheduled as of yet. Please continue to check in for the next possible date. This program is offered for students who are involved in a Home School Program. This fun camp is planned every Friday morning from 9:00am - Noon. This is open for children ages 3-5 years old and your child must be potty trained. We will have fun with games, crafts, musical activities and plenty of gymnastics. Every Friday, the games and activities are geared around the theme for the day. For the summer time, we are travelling around the world, so come and enjoy this adventure. Your children will thrive in this program and will be so proud to show you all that they have learned. Call today to book your child's next adventure. Space is limited and payment must be received to hold your spot. Don't miss out! Parent Night Out is a great time for kids who want to have some fun with their friends while Mom and Dad go on a well deserved date night! 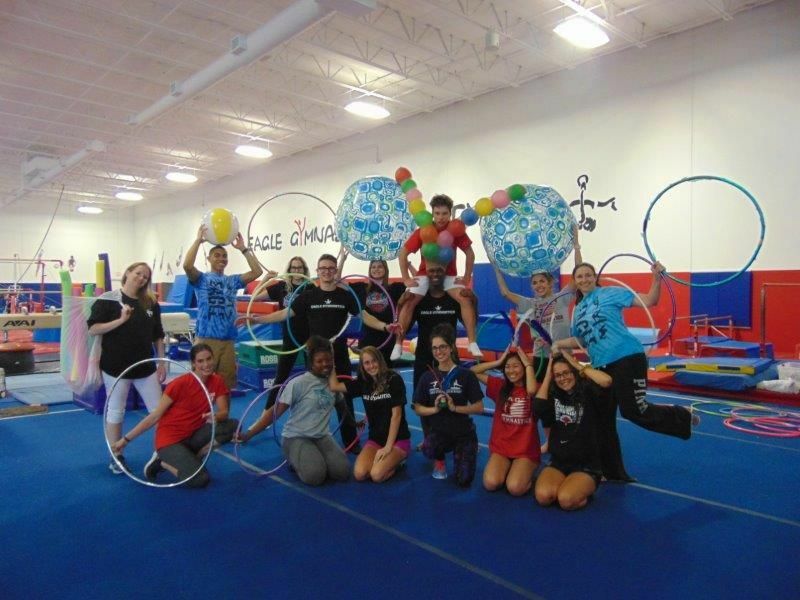 Our Staff is ready to give your kids a fun filled summer! 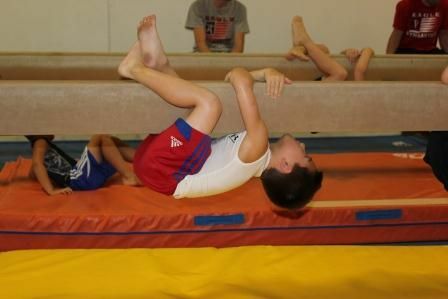 Our day camps are filled with many games, gymnastics and fun activities to keep our gymnasts busy and having fun. All camps are structured, organized and fully supervised to provide a safe and positive environment for your child to learn new skills. 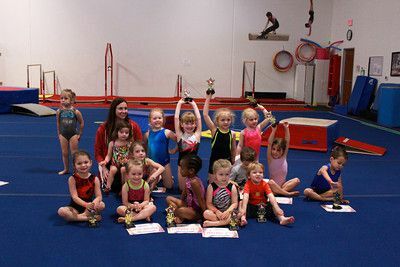 The Olympics is designed for our young kindergym and red level 1 students, ages 3-5. The children will perform a routine on each apparatus and all gymnasts receive a trophy at the awards ceremony following the event. This is a great opportunity for family members to watch our young talented kids show off their skills! Call today to hold your spot and make some amazing memories. The Eagle Challenge gives the girls and boys in our red through silver level classes an opportunity to compete in a fun environment. 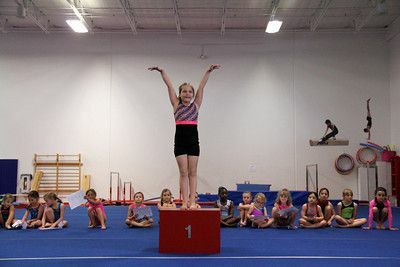 Students perform routines on all apparatus and will be judged for their performance by our coaching staff. Each student will receive a ribbon for each event competed and all gymnasts will receive a trophy for participating in the event.